Do you like to watch Indian web series? Then these are some Hindi web series which you must watch on Amazon Price and Netflix. One of the best things about cheap internet in India is, it opened the floodgate to the foreign streaming services. As India is one of the biggest marketplaces, everyone wants a piece of it and that’s how we get some of the best Indian web series. Here is the guide for best Indian web series to watch on Amazon Prime and Netflix. When Amazon prime launches its own streaming platform, it faced little disappointment, as they only showcase English web series, Hollywood movies and some of the famous Hindi movie. People who are searching for something new tried the free trial and left it until they launch Indian web series. Here is the list of best Hindi web series on Amazon Prime. Who doesn’t love cricket in India? One of the most celebrated sports which doesn’t have a fan but devotees. 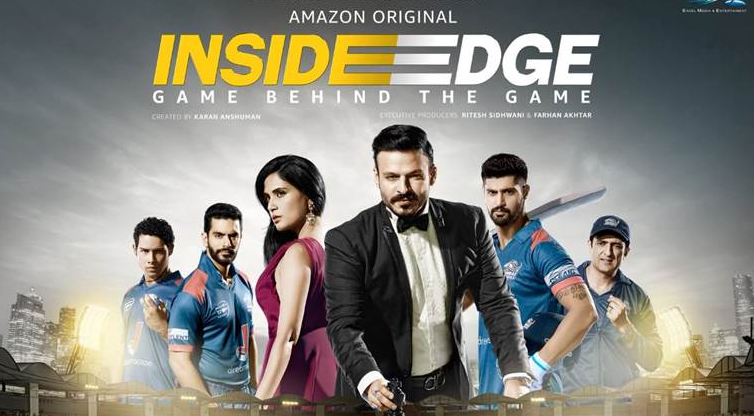 These Hindi web series follows around cricket with some of the notable names like Vivek Oberoi and Richa Chadha. It’s a story of Mumbai maverick, a team of power play T20, sort of IPL and it’s the story of the game behind the game. One of the best thing about the show was, it was the first Indian web series on Amazon prime and yet it hits the mark. The storyline is gripping and stellar star cast delivers some of the best performance. It was the beginning of web series in Hindi on a streaming platform. One of the most bizarre and strangest shows is also in must-watch Indian web series list. This show featuring R. Madhavan has a lot of potentials and hooked their audience for the whole series till the end. It’s not the best Hindi web series to watch, but certainly not the last. The whole series is about saving a young boy who is on the waiting list to get a new lung. His father Danny played by R. Madhavan tried desperately to ease the boy pain but receive shocking news. The boy has only 6 months to live and he is on the 4th on the list. So the father took it on himself to remove the obstacle of the first 3 on the list. The suspense and emotion is something not to miss in this Indian web series. This Hindi web series proves that we haven’t got over the magic of gangs of Wasseypur. The story is dark and has lots of similar elements of GOW. One of the gems is Pankaj Tripathi, who is not much of A-lister like others but he has already proven his steel in many movies. The story of Mirzapur is quite simple, Akhandanand Tripathi also known as Kaleen bhaiya is a businessman and sold a mattress, hence the name. Behind this business, he runs a drug empire which gave him power and makes him fearful. His son, Munna, who is not as accomplished as his father, shoot someone and now a lawyer filed a case against him. The story revives on and on around these and other characters which take you to the dark underworld of the mafia and a drug lord and play the dangerous games. It’s one of the top Hindi web series to watch on Amazon prime right now. 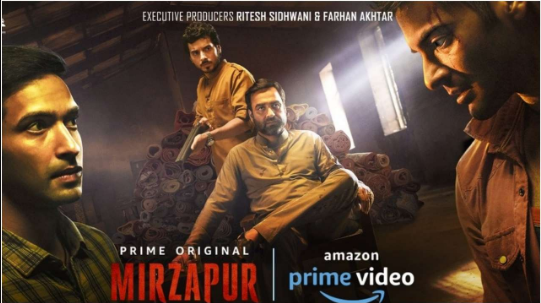 If you like the Mirzapur Indian web series then good news is that team already started second part shooting and we will have it on Amazon soon. There are some other Indian hindi web series which can also stream on Amazon. Netflix is streaming giant of the world but yet it faced problem against Indian audience. It’s the lack of Hindi web series that hurting this big company. So they decide to make an original Indian web series and jump into the race of becoming the top streaming service in India as well. Here is the list of Best Indian Hindi web series on Netflix. 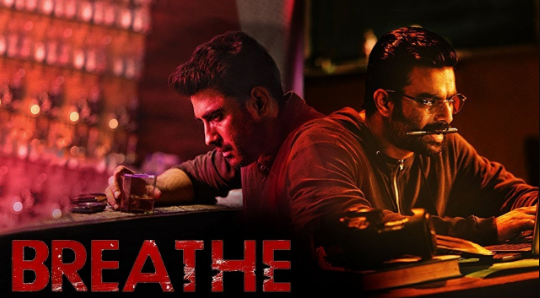 When they cast Saif Ali Khan and Nawazuddin Siddiqui, it was clear as day that this Netflix Indian series will pack some punches. Based on the book with the same name, the story revolves around two people with the unraveling web that reaches every part of the country and power. Saif Ali Khan is Sartaj Singh, a local police officer who was investigating a robbery; find some clues that lead him to solve a greater mystery. That event leads him to cross his path with Ganesh Gaitonde (Nawazuddin Siddiqui) who is crime boss of the city. This Indian web series would remind you of the cat and mouse game of Narcos and brutality and savagery of the game of thrones. This is best Hindi web series which received the accolade from critics as well as audience and set the path for the second season as well. 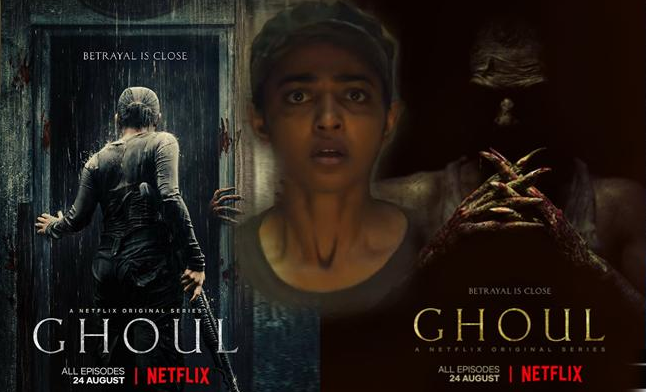 A series that sent Radhika Apte career to the top and Ghoul has also seal the deal for Netflix and now they have set the foothold into the entertainment of Indians. Ghoul is considered as one of the best Indian web series and they have also proven that with the numbers as well. The storyline is somewhat different than any other Hindi web series we ever came across. The story is set in India in a dystopian future where fascism is at its top. It revolves around two people, the Nida Rahim and Ali Saeed who is under interrogation and then something unexpected happened. Call it a ghost or supernatural power, but this is the main theme of the story because it’s a horror web series. There are some other Indian Web series which you can watch on Netflix. This is the golden time for Indian web series and especially Hindi web series. After the success of all the above show, new web series is being produced on both Amazon Prime and Netflix just for the Indian audience. 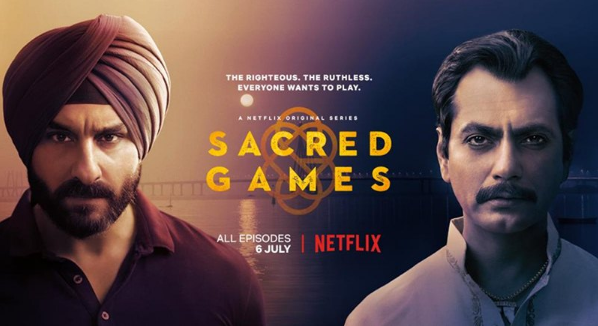 These Netflix Indian series and Amazon prime Hindi web series has proven that with right story and cast, this streaming business could turn out to be profitable in India. 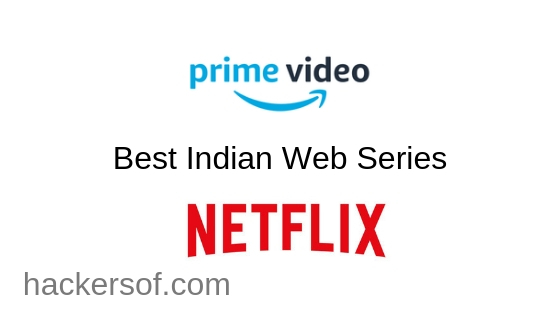 We hope that this list of Best Indian Web series to Watch on Amazon Prime and Netflix would help you find the right Hindi web series. If you have any question regarding the best Hindi web series in India, do let us know in the comments.